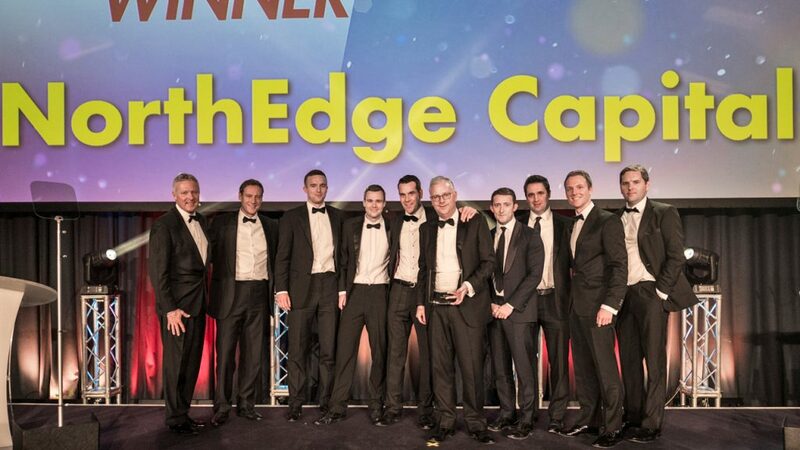 NorthEdge Capital starred at this year’s North West Dealmakers Awards, picking up three awards including Young Dealmaker of the Year, Private Equity House of the Year, and Deal of the Year. George Potts was named Young Dealmaker of the Year following a strong year in which he originated and led NorthEdge’s investment into Cubic Motion and the acquisition of Kirton Healthcare by Direct Healthcare Group (DHG). The team at NorthEdge was named Private Equity Team of the Year for the second consecutive year in recognition of a range of achievements at the firm. NorthEdge added nine new team members, launched a third office in Birmingham, and achieved five realisations over the judging period. NorthEdge also secured the award for Deal of the Year (£50m plus) for its sale of utilities software provider Utiligroup to Energy Services Group, which achieved a 5.7x return on invested capital for NorthEdge. Under NorthEdge’s stewardship, the company increased turnover by 200 per cent, grew headcount from 60 to 229, moved to a state-of-the-art headquarters in Chorley, and launched a site in Lancashire and another in the Midlands. The awards continue a strong year for NorthEdge. The firm was also crowned Small Buyout House of the Year at the Unquote British Private Equity Awards earlier this month in recognition of the team’s expertise and expanding reach across the regional powerhouses.